Park Grove has an incredible location right near the bay, the towers are strategically oriented to provide sweeping sea and city views from every residence. 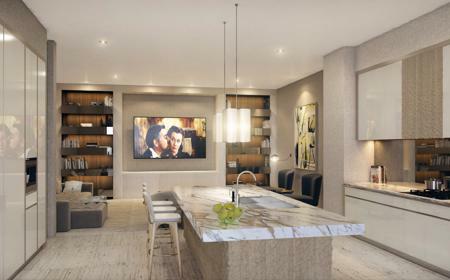 From the ground floor to the penthouses, Park Grove offers a unique perspective from each level. 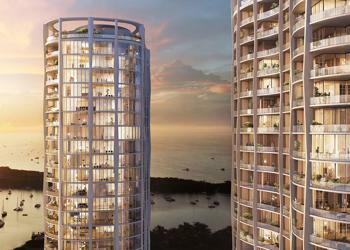 Residents might gaze over leafy treetops to the bay, or be able to see all the way to downtown Miami. 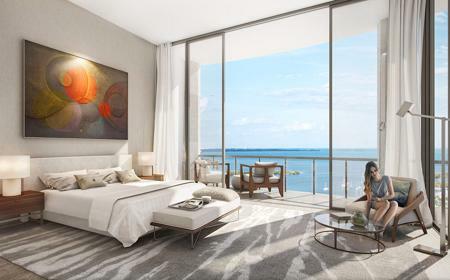 The Park Grove residences have everything anyone could dream of, and meet the highest standards of luxury in Miami by far surpassing the others. Designed by William Sofield, better known as a world-renowned master of the magic interior design, Park Grove is able to conjure the most sublime idiosyncratic spaces. Basing his work on the use of noble materials modernizing traditions and freshest styles to balance daily life with absolute luxury and beauty. This genius makes use of his magical skills to create the perfect setting to highlight the attributes of a natural approach framing panoramic views of the sea and maximizing space with his unique minimalist style. 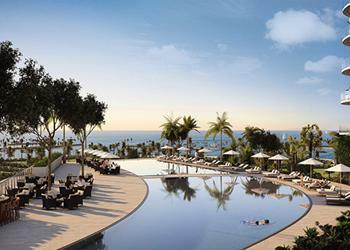 At Park Grove, each element is designed to complement and improve the surrounding seascape. The kitchen is designed to meet the highest standards of luxury, sophistication, and utility, with the best technology to meet the expectations of any chef.